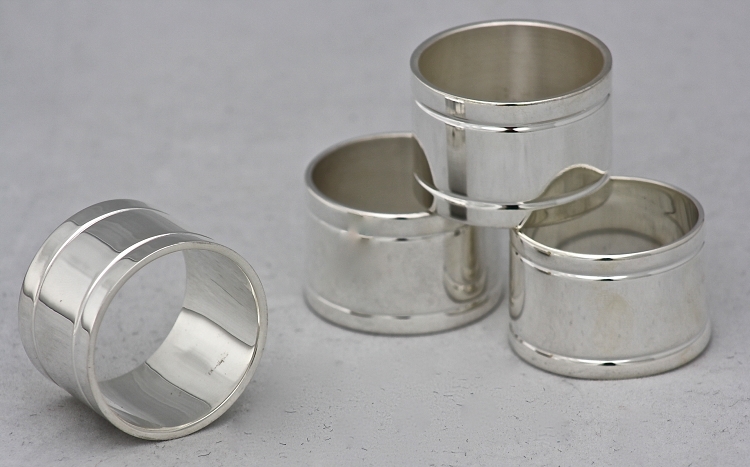 Traditional Heavy Silver Plated Solid Brass napkin rings, a set of 4. These elegant napkin rings will dress up any table at a very reasonable price. The napkin rings are treated with an anti-tarnish finish to preserve their lovely shine, each ring weighs 2 ounces, half a pound for the set of four. These solid brass napkin rings are roughly 1 1/2 inches in diameter, when measuring from the outside of the ring, and about 1 inch tall.